Once teams are accepted in the visitRaleigh.com Boys Junior Showcase, teams are required to book hotels using our travel partner, Anthony Travel, and complete the Notification to Travel form from their state association. We are here to help and you can contact us by clicking on the appropriate link below with your questions. to ensure their participation in the visitRaleigh.com Showcase Series events. 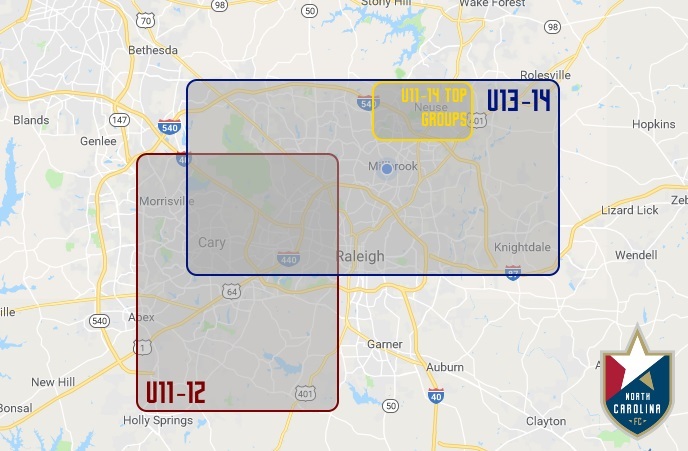 Teams found to be in violation of the Stay to Play requirement are subject to disqualification without refund of their entry fee and will jeopardize their participation in future NCFC Youth tournaments. Hotel assignments will be made on a first come, first serve basis. Teams are eligible to register for housing as soon as they have registered. You do NOT have to wait to be accepted into the tournament. Rooms fill quickly so register as soon as you are eligible. Enterprise Rent-A-Car and National Car Rental are North Carolina FC Youth's preferred national suppliers. If you book through Enterprise or National you will receive the national NCFC Youth discount from the quoted rates. To book your car, simply click on the link below. For more information or to reserve a vehicle not available online, please contact Nina Gladysiewski at Nina.M.Gladysiewski@ehi.com or Courtney Wirt at Courtney.M.Wirt1@ehi.com.